I don't know if you can slice a full-size luxury SUV into many other shapes. General shape looks a lot like a Land Cruiser or MB GLS, so I assume this will sell like hotcakes. Bye bye 7 Series. This will be BMW's pinnacle luxury model. It's going to sell VERY well. I agree, the usual driver focused interior works well in a 3 series or similar, even - to a certain level - in the 5 series, even if that is not longer primarily a driver's car. But in the 7 series it IMO has no sytle anymore, loosing to both the luxurious, finely detailed atmosphere of a an S-Class nor Lexus or the cold tech atmosphere of the Audi A8. It looks no more expensive than a Genesis or Kia K900 inside, as it has the "regular car made expensive feel". Likely, this will have similar issues. 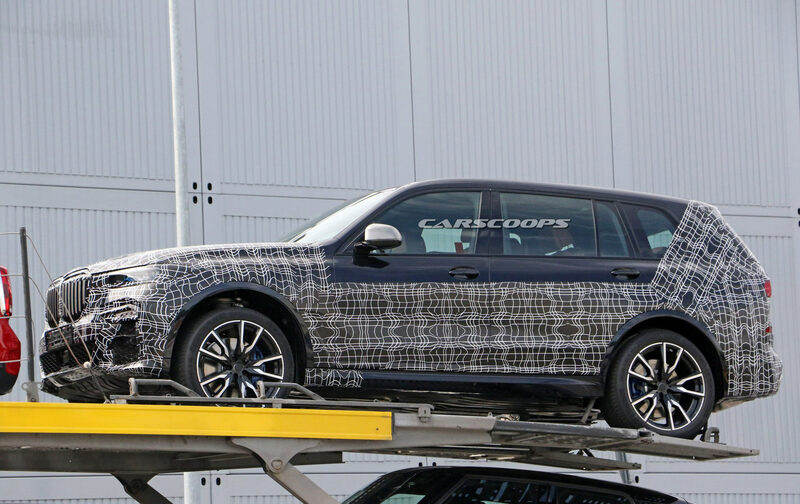 I also think this will mostly kill 7 series sales (and better equipped 5 series), probably some Q7 and GLS customers as well (though that is in severe need of a refresh as well IMO), I doubt that those who want a Range Rover will really cross shop much (probably a Bentyaga at the top end), and the typical Land Cruiser customer also likely wants either the off-road abilities or Toyota reliability, because as a luxury vehicle there are much better solutions out there. Last edited by mick78; 04-13-2018 at 07:41 AM. This has success written all over it. It will have a major negative impact on the 7 Series because BMW buyers with $100K to spend are likely to go with this kind of vehicle these days. They should make sure it drips with luxury at the base model and then gets more opulent from there. This could be how BMW battles the S Class i.e. with a totally different kind of vehicle. The X7 could be the BMW that brings it back from its malaise. BMW should have done an X7 10 years ago. This could be how BMW battles the S Class i.e. with a totally different kind of vehicle. But then again, Mercedes already has the GLS for a considerable time around, how does that do in the US? In Europe it seems that most luxury car buyers who want a 4x4 will still choose the Range Rover, it's kind of a default choice there, the GLS doesn't seem to enjoy massive sales.. The GLS does OK but it's not a grand range topper. My point is that if BMW makes the X7 a grand range topper is has the chance to be tremendously successful. if it is merely their response to the GLS then it will be a niche, also-ran. I wish the X7 had more of the X2 flair rather than the model-year-2000-Camry dullness of the rest of the line. Mercedes doesn't exert with the GLS because it doesn't have to. BMW is in a malaise with the potential to see sales plummet. They need to be taking evasive action. Mercedes and Audi are laughing. 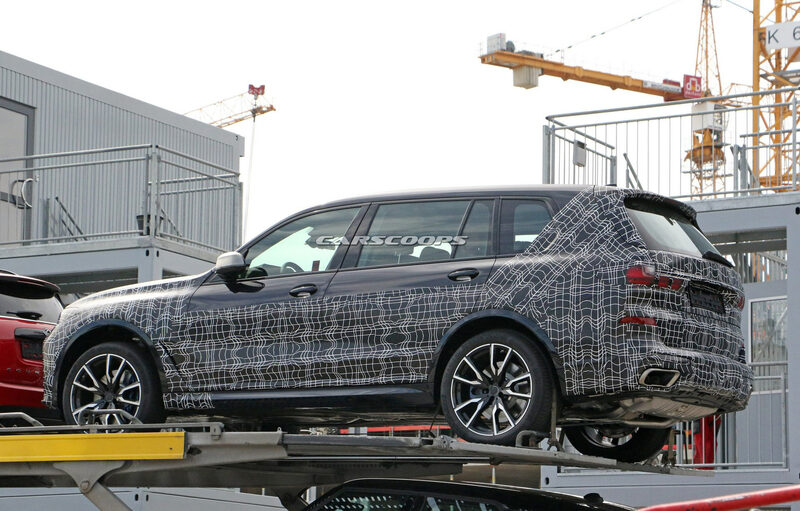 BMW should have done an X7 10 years ago. Agreed. I remember the major auto magazines etc. predicting an X7 around 2000-2003, with full on renders/sketches/etc. Crazy that it's been this long for it to finally come to fruition.